I was not the star of art class in elementary school. I enjoyed the class, but my projects were always mediocre. However, I have fond memories of the class. My favorite art project was Christmas shrink art ornaments. I remember our art teacher coming down the hall with her art cart, going from room to room for the assigned art class. Her cart was always filled with neat art supplies and crayon smells. Fastforward MANY years- my hubby finds an awesome cart marked down at Sam’s Club a few months ago. He buys it for me because he knows that I like things like that. I use it in my laundry room for a few weeks just to for odd and end laundry items before deciding that it can be put to better use. In the midst of trying to figure our the perfect idea for it, my daughter has her birthday party and receives a ton of art supplies. Her and I both love it when she gets art supplies! She uses them every day, and it keeps her creative. What? Loads of art supplies? An empty cart? Yep, so the art cart is born! Keep the cart in a centralized location. If the cart contains paints, etc., I don’t recommend leaving the cart where kids can have a field day. Keep it in a location like the laundry room, etc., where you can keep an eye on what comes in and out. Stack coloring books, crayons, etc. on the cart where older kids can easily get them. Now that I have babies, it’s nice for me to send the older one to grab a coloring book without having to get up myself. 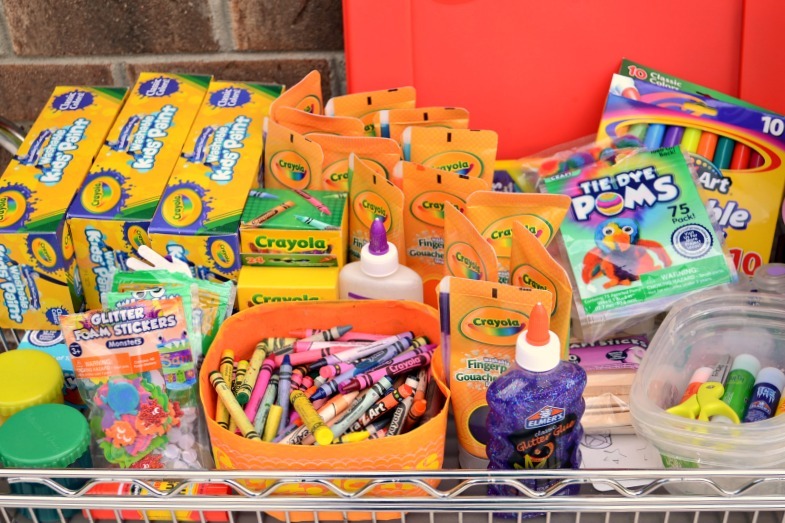 Place crayons, colored pencils, and markers in a tin or tub on the cart. Kids have trouble getting the crayons, etc. back in the box, so a tub or tin to keep them in makes clean up easier. The cart is the perfect thing to store all my craft supplies from craftprojectideas.com! 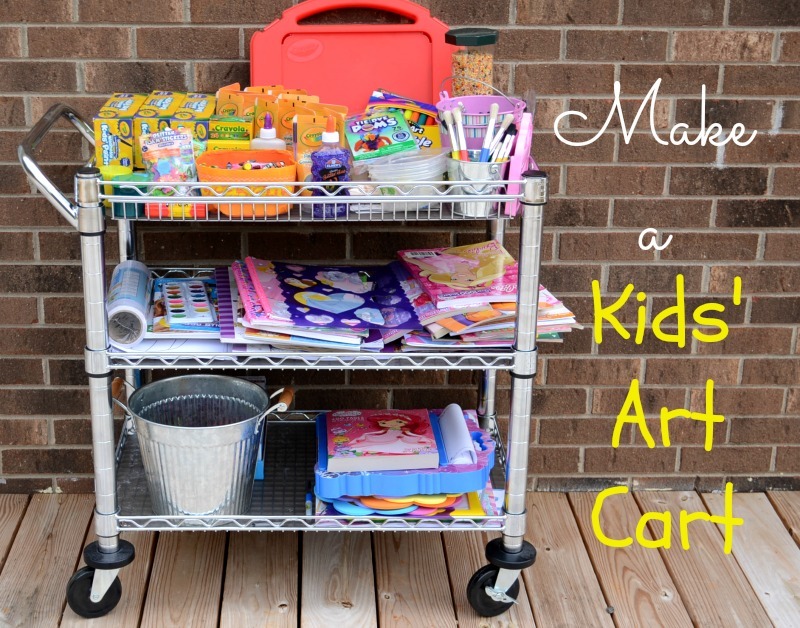 The whole point of the art cart is to make life easier and more organized- keep items on the cart to accomplish this! Thanks so much! Glad to have you here! I LOVE this, I really need to do this for my younger kids, thanks for sharing, I’m pinning this.